Beginner Classes starting SOON! – Wooden Spools...Quilting, Knitting and More! The cooler days of fall are here! Don’t you find yourself wanting to spend a little more time indoors and CREATE? It’s a great time to learn a new skill. We are offering three opportunities to do that this month! Pick up your hook and never look back! You will create magic with a basic chain stitch and single crochet stitch to make a quick and easy cowl! 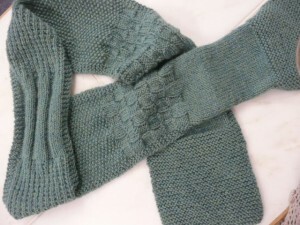 Interesting (but simple) stitch patterns in between! You’ll end up with a gorgeous scarf that is full of texture! 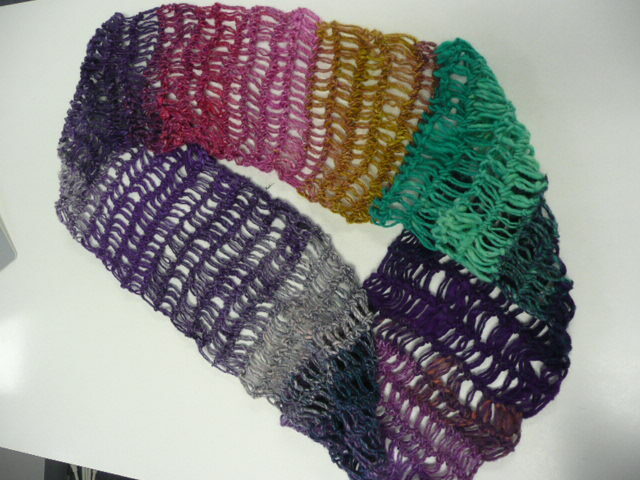 AND – Saundra is left handed – but knits right handed – so this class is great for EVERYONE!!!! Class meets 4 times: Tuesday afternoons 4 to 6 p.m. 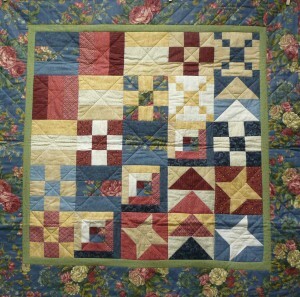 In this BEGINNING QUILTING class, Jane will teach you the basic skills needed to launch you into creative quilting fun! You’ll create the wonderful sampler pictured here as you develop skills. Class time goals are: Watch demos of rotary cutting and piecing techniques – and then practice the demonstrated skills. Learn to recognize quilt parts and patterns. Assemble the quilt top. Add border correctly, finish homework independently.